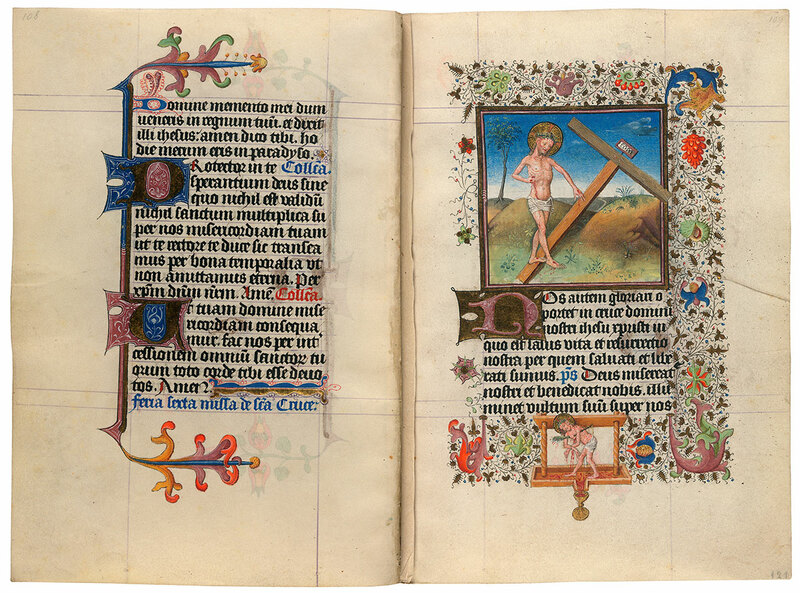 The Mass of the Holy Cross originally had a large miniature that is now missing. It faced this smaller image showing Christ as the Man of Sorrows standing on his lowered Cross. The scene does not represent a narrative event; rather it is an allegorical image of Christ's triumph over his Cross, his victory over death. The border vignette offers another allegorical image: Christ in the Winepress. Just as grapes are squeezed, Christ is crushed by the winepress; his salvific blood flows into a Eucharistic chalice.